(HealthDay)—For physically frail older adults, occupational therapy is associated with improved functioning, according to a review published online April 3 in the Journal of the American Geriatrics Society. Leen De Coninck, from the KU Leuven in Belgium, and colleagues conducted a systematic review and meta-analysis to examine the effectiveness of occupational therapy for improving performance in daily living activities among community-dwelling physically frail older people. Data were included from nine studies that met the inclusion criteria. The researchers found that the studies were of reasonable quality with low risk of bias. Significant increases were seen in all primary outcome measures: mobility, functioning in daily living activities, and social participation. The pooled result was a standardized mean difference of −0.30 for functioning in daily living activities, −0.44 for social participation, and −0.45 for mobility. Positive trends were seen for all secondary outcome measures, with a significant correlation for fear of falling. There were no adverse effects for occupational therapy. 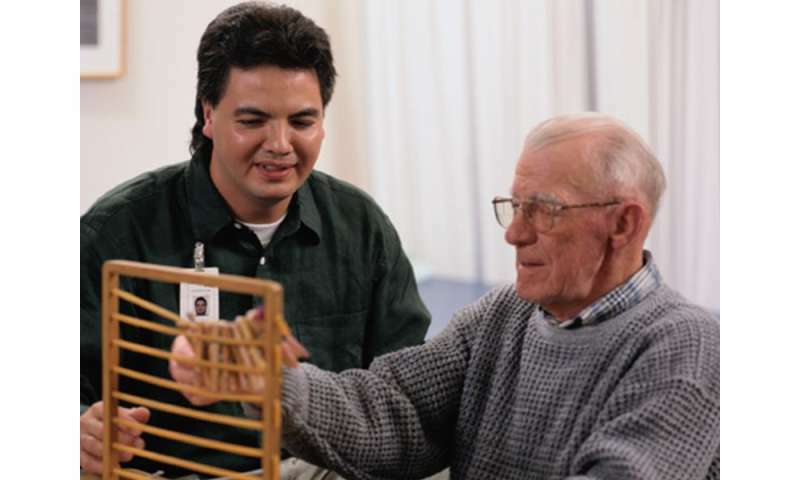 "There is strong evidence that occupational therapy improves functioning in community-dwelling physically frail older people," the authors write.